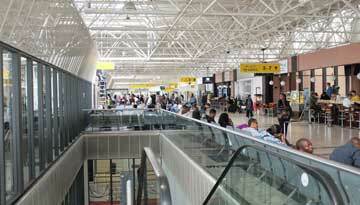 In the scheme of international capitals, Addis Ababa is a relatively new addition. It was originally founded, or chartered, in 1886 but has since become one of the most important cities on the African Continent. Originally the seat of the Emperor Menelik II it grew quickly in prosperity and popularity despite an apparent lack of natural resources. Between 1936 and 1941 the city was the Centre of Mussolini's Italian Campaign in Africa but was repatriated by a combination of the native Ethiopian and British armies leading to the reinstatement of Emperor Haile Selassie, perhaps Ethiopia's most celebrated son. 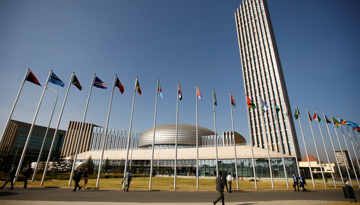 It was from this reinstatement that Ethiopia and Addis Ababa, became the centre of the new African Union and now plays host to the United Nations Economic commission for Africa. Addis Ababa boasts much for the interested tourist, including the Mercato market, elaborate churches and numerous museums. The city also provides a good starting point for exploration of the wider African landscape. Considered to be the birthplace of mankind, Ethiopia and its capital provide a fascinating insight into the evolution and development of eastern Africa. Best Emirates flights to Addis Ababa from Heathrow with return economy class fares at £499*. 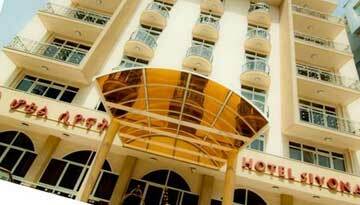 Hotel Siyonat provides convenient accommodation and features a sauna with modern suite rooms. Fly from London - Addis Ababa & Stay for 7 nights with 4-star accommodation. Include Bed & Breakfast.